This is a reminder for our older Scouts wanting to do one of the high adventure events at camp. If you are interested and want to have a better chance to get into the older boy program you want, please give me your choices tonight. The camp director is going to try to hold spots for us before official registration begins in April. See my previous post for further detail. Please read the below info about this year’s OA One Day of Service. It is open to all Scouts, not just OA members. If you are able to attend, please sign up individually below. This does count as service hours!! If you have any further questions, please see the website or see Josh or Mr. Ham. 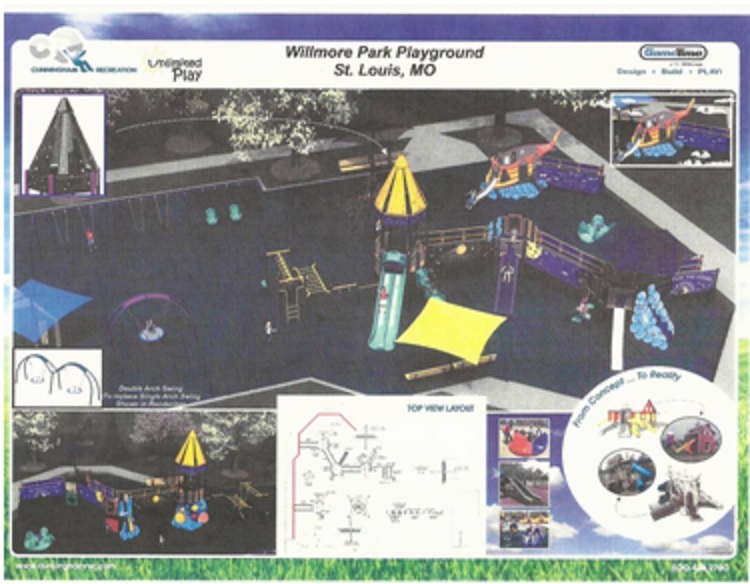 At this year’s One Day of Service, the primary project will be to assemble a playground set at Wilmore Park in St. Louis City. All the pieces are premade, so no previous building experience is required. This means that any Arrowman will have the skills to participate in this project. We will also help clean up the park and clear out invasive honeysuckle that threatens to overtake it. This event is not just for OA members but for any Scout that would like to join us! All you need to do is sign up below! Instead of going back to work in the afternoon, we will have a Hodag party after lunch. That’s right, we will only work for half the day. After lunch, we will have activities like knife throwing, slacklines, a monkey bridge, lodge ball, and more. Nothing is set in stone yet, so if you have any ideas or suggestions for our Hodag, let me know at thomas.vanhorn@shawneelodge.org. This event is completely free. We just ask that you register BELOW so we can guarantee you a lunch. Are you ready for a great day of fun, fellowship, and service? Then be sure to come to the One Day of Service! I can get a list from Bob or Josh of who went. I signed up Clayton to help – will he need a signed document to show for his service hours? Had a great weekend at Beaumont with out new Scouts! Weather was perfect and the boys all had fun. Lots of important info below. Please read carefully. This week we will welcome all our new Scouts with some fun get to know each other games for the night!! 3/6 – PARENTS MEETING – Due to the read in at Mesnier – Our parents meeting and Scout Meeting will be held at 1st Methodist Church in Webster – 600 N. Bompart Ave 63119. (Meeting will be for all parents) Troop meeting is for all Scouts except for any older Scouts who are helping with the Read in. 3/6 – SPACE JAM MERIT BADGE CHOICES & PAYMENT IS DUE. See previous 2/21 post to print out schedule sheet for choices. 3/6 – MESNIER READ IN – Need older Scouts to help at Mesnier. Please see previous 2/23 post and contact Mrs. Edgar if you are able to help out. 3/13 – SUMMER CAMP MERIT BADGE CHOICES & 1ST PAYMENT OF $80 DUE. See previous 2/21 post to print out summer camp info packet. SCRIPT ORDERS – ORDERS ARE DUE THURSDAY MARCH 13TH . 3/14-3/16 – Mastadon State Park Campout – Sign ups begin 2/27 cost = $12 Deadline to sign up will be 3/6. Hey Troop!! On Thursday, March 6, Mesnier is having a read-in night. (*Note the date, that means no meeting) The theme of this years read-in is “LET’S READ S’MORE”. Since this is a camping theme, they have asked Troop 821 (yes they have connections) if they could borrow some tents for the evening. Borrowing tents means borrowing Scouts as well. Our job for the evening would be to set up & take down tents, monitor tents that they are being used gently, and various other jobs. You would need to come dressed in full Class A.
Hopefully, we will have LOTS of boys volunteer for this. You can earn service hours. I will have signed papers you can take home with the number of hours you worked for you to keep with your records. *Camping experience will be required for the put up & take down of the tents. This event will be limited to scouts who have attended at least one Troop summer camp. Please let Mrs. Edgar know if you will be coming that evening. speedracer5548@yahoo.com or 314-392-7121. Will this take place at Mesnier @ 7pm? I’m guessing it’s safe to assume the parents meeting will not be held that night? We will still have a parents meeting. Location TBD. Sorry Mr. Piel, but I have to bring this to the attention of the Troop parents. In your previous post you reminded everyone that the first payment of $40 is due. What????? Actually it’s a payment of $80! Broke down it is 3 payments of $80. The deadline for this first payment is still March 13th. Glad we read that post CAREFULLY to catch that (he he). SUMMER CAMP & SPACE JAM SIGN UP TIME! I know it seems like summer is a year away, but we need to start thinking now about our summertime plans. We have two important deadlines. SpaceJam & Summer Camp!! Please read all information carefully and completely. You never know what I may have left out!!! Registration for SpaceJam has already started and some of the classes are already full. Registration Fee for SpaceJam is $45 per person (due 3/6), plus food and gas that will be collected at a later date. DEADLINE #1 – SPACEJAM – By Thursday March 6th, We need to collect your $45 and your Merit Badge Sign up’s. Please see the attached SpaceJam schedule sheet and circle the merit badges you are interested in taking for each time slot. Some badges are more than 1 hour so make sure you do not overlap any badges & leave you time for lunch. **MAKE SURE YOU PUT YOUR NAME AT THE BOTTOM**. At the same time you want to make sure you take into consideration what you are selecting for summer camp. Make sure you do not take the same things. DEADLINE #2 – SUMMER CAMP – By Thursday March 13th, We need to collect your first summer camp payment of $40 and your merit badge choices. Please see attached packet for tips & explanation of badges and a schedule sheet to circle your choices and times. Make sure you choose a badge from each time slot. Watch for classes that are more than an hour so you don’t overlap. Online merit badge sign up’s start in April so we need to get our choices in early to assure we get our first picks. I know this is a ton of foreign info to process for our First Year Scout Parents. Please feel free to e-mail me at piels67@hotmail.com if you have any questions. Feel free to come Thursday 2/27 to the meeting and I will answer questions there as well. Also I plan on trying to hold a parent meeting on 3/6 to go over all info. I know I probably forgot something, but now my brain hurts! Mr. Piel, Question regarding the selection of merit badges. Different Campsites Cherokee and Osage bothe offer the same merit badges but they are at different times. Do we know which camp, cherokee or osage, we will be assigned? I believe the 1st payment is $80. Not $40. Don’t forget to RSVP by noon today if you are going to Epic 6 Thursday. Colin Phillips will be attending. William and Daeshawn will be attending. John Henry wants to go. Josh and Matt will be going and Brian will drive them. Reminder that tonight at 7 is the Webelo 2 Arrow of Light/Crossover ceremony. Everyone is encouraged to attend and support our new Scouts coming into the troop. If you are interested in helping out in the ceremony please arrive by 6:30. 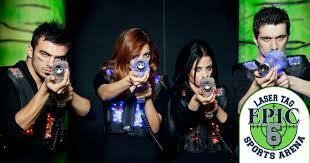 This Thursday we will have an away meeting at Epic 6 Lazer Tag & Sports Arena in Fenton at Gravois Bluffs. Price is $19 per Scout. For $19 you can play as much laser tag, basketball, dodgeball, rock climbing and obstacle course runs as you can get in before your time runs out. Excluding the Arcade which runs between $.25 and $2.00 per game. Eat dinner before you come. Please drop off your Scout by 6:30 so we can get checked in by 7. Play will be 7 – 9. Please be ready to pick up your Scout by 9pm. I have to give them an estimate of how many boys we will have to please comment on this page by Wednesday at noon if you are planning on going. It’s not too late – Come on out!! If this isn’t too late (just saw this), Aidan will go. It’s not too late – come on out! Vince and Sam will go. I will be there on Thursday. Grady and Henry will be there. Grady is hitching a ride with Mr. Reidmeyer. Kenny and Alex will be there. I will be a spectator. Josh and I will be there. I will just be a spectator. This summer, camp Kia Kima offers some great High Adventure options for our older Scouts who are 13 and up. Some of the offers have limited space. I have been talking with the Camp Director at Kia Kima and he said if we tell him what we want, he will reserve spots so when we register in April, there will be spaces already held for us. Parents and Scouts please look over the options, and if you are planning on participating in one of these programs, let me know by 2/27 what you think you will want to be doing for summer camp. I will then send it on to Kia Kima so our spaces can be held. You will see that I have noted that some of the activities are only a half day each day, leaving the other half of the day for Merit Badges. I have also noted any extra fee’s required. Isaac wants to know who would be doing COPE or OUT.